Since the early 1970s there has been an intensive interest in hawkwatching in the state of Virginia in general, and along the Blue Ridge in particular. 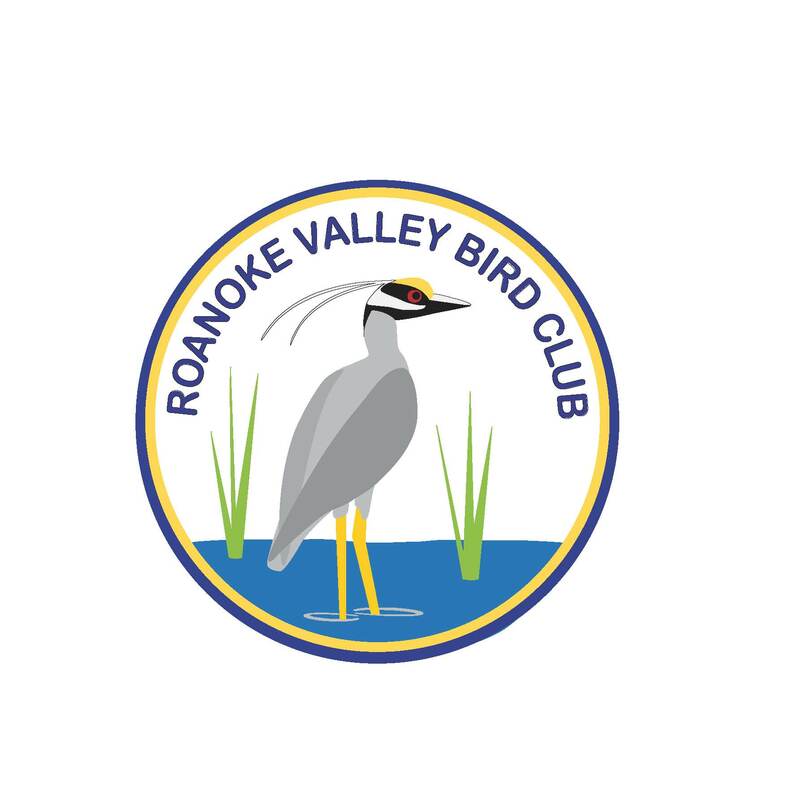 In 1977 Myriam Moore of the Lynchburg Bird Club established a hawkwatch at Harvey’s Knob, an overlook on the Blue Ridge Parkway at milepost 95.3, which has become a permanent project for both the Lynchburg and Roanoke bird clubs. Fall hawk migration season extends from mid-August through early December, with the greatest number of hawks passing through in September. Volunteer hawk counters record the kinds and numbers of hawks passing by, usually between 9:00 a.m. and 5:00 p.m. The days following passage of a cold front, with northwest winds, often bring big flights, but good flights can occur on winds from any direction. Hawks tend not to migrate when it is still, rainy or very foggy. Fifteen species of raptors have been counted at Harvey’s Knob; however, only 12 species occur often enough to be seen on most any day. In 1996, a total of 12,286 birds of prey were seen at the Harvey’s Knob hawkwatch site; 9,994 of these were Broad-winged Hawks. On September 21st alone, 5,503 broad-wings were counted. The counts are highly variable from season to season, however, so the 1996 season was not typical. Broad-winged hawk migration moves through the latitude of Harvey’s Knob during the second half of September. On any day between September 12th and 26th one can expect as many as 1,000 broadwings in a single day, most between 10:00 a.m. and 2:00 p.m. EST, although large numbers are often counted even after 5:00 p.m.
Migrating hawks, we believe, follow flight paths that allow them to use the least energy. They use prevailing northerly winds in fall and southerly winds in spring. In addition, hawks make excellent use of thermals (columns of rising warm air) and updrafts (air currents deflected when wind hits an obstruction such as a mountain). We believe that many migrants converge along landmarks such as ridges, valleys and coastlines, drawing them into a “flight corridor.” Concentrations of birds moving across the skies together provide a spectacle that can make even a casual observer a hawk watcher for life. It’s challenging. Each species has distinguishing marks; but telling them apart is often difficult under different conditions of light, distance, angle, plumage, wind, etc. Hawk counts provide birdwatchers with real tests of skill at identification. It’s fun. For birders there are always surprises, whether it is a great little warbler fallout in the early morning hours around the lookout, a lone White Ibis, a small group of Sandhill Cranes or a Mississippi Kite. It’s scientifically useful. Hawk migration is a relatively recent field of study. Each year birdwatchers establish additional hawkwatch sites in locations across North America. Each watch sends its records to HMANA, the Hawk Migration Association of North America, which makes the data available to researchers and publishes seasonal summaries. It’s ecologically important. Our ecosystem is at risk. Since birds of prey are at the top of the food chain, they provide a sensitive barometer to the health of the whole system. Records from many lookouts over time can alert us to ecological problems. Satisfactory answers have not yet been found for many questions about the habits and behavior of hawks in migration. Research will help us find ways to protect and preserve these beautiful birds; but that is only part of it. You may not be a scientist, but as a hawkwatcher you can contribute to our understanding of the ways of nature, such as how topography and seasonal changes effect migration. Like any new activity, learning to identify raptors can be confusing. Watching in the company of more experienced people helps. Don’t be afraid to ask questions. Count keepers and others helping them will be glad to share their knowledge with you. View photos of Harvey's Knob Hawkwatch team and learn more about hawkwatching at Harvey's Knob Hawkwatch. The Hawk Migration Association of North America was founded in 1974 as a not-for-profit all volunteer organization. Its purpose is to advance the knowledge of raptor migration across continents; to help establish a rational basis for future monitoring of raptor populations; and to provide, through the use of standard reporting forms and procedures, a data bank on migrations for the use of professional and amateur ornithologists. HMANA is the only organization that collects, analyzes and publishes hawk migration data from hundreds of hawkwatch sites on a continental scale. Membership in HMANA entitles you to the spring and fall reports, and helps support their website and listserv newsgroup BIRDHAWK. Support from hawkwatchers like yourself is essential if we are to continue and expand our mission. Please consider joining the kettle of HMANA hawkwatchers as we migrate into our future.